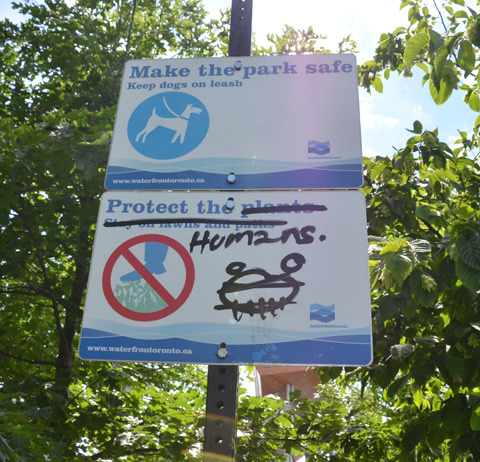 A walk along the Don River. 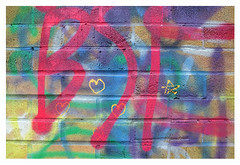 The Don Valley Brick Works (or Evergreen Brickworks) is an old clay quarry and brick factory that operated between 1889 and 1984. Today the site consists of 16 heritage buildings and an adjacent 16-hectare public park known as Weston Family Quarry Garden that includes wetlands, hiking trails, and wildflower meadows. below: Interior of the kiln building. 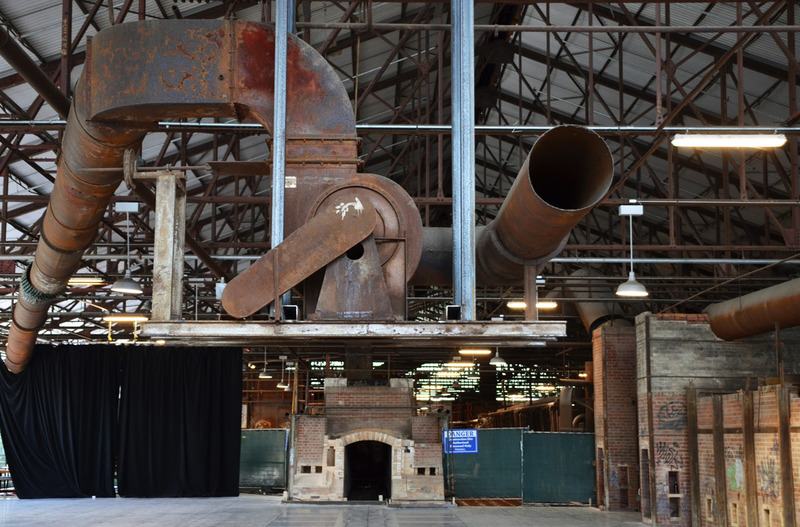 Some of the kilns have been removed to create a larger open area and year round event space. 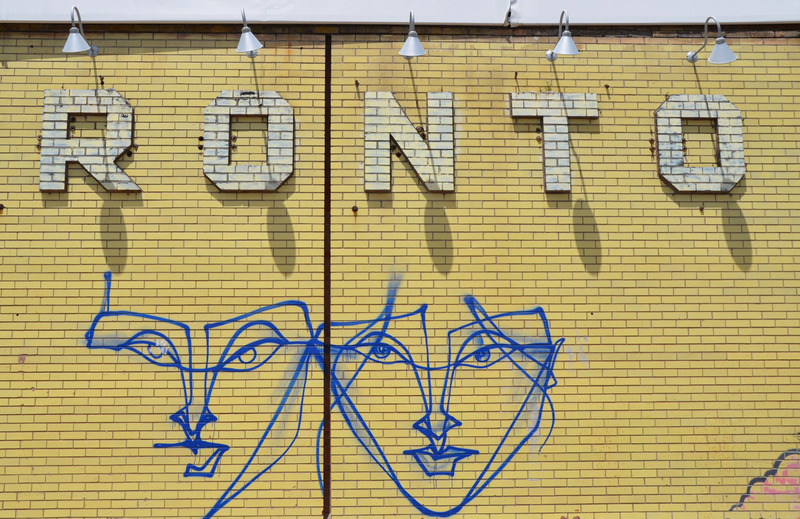 below: anser faces on the exterior yellow brick wall. 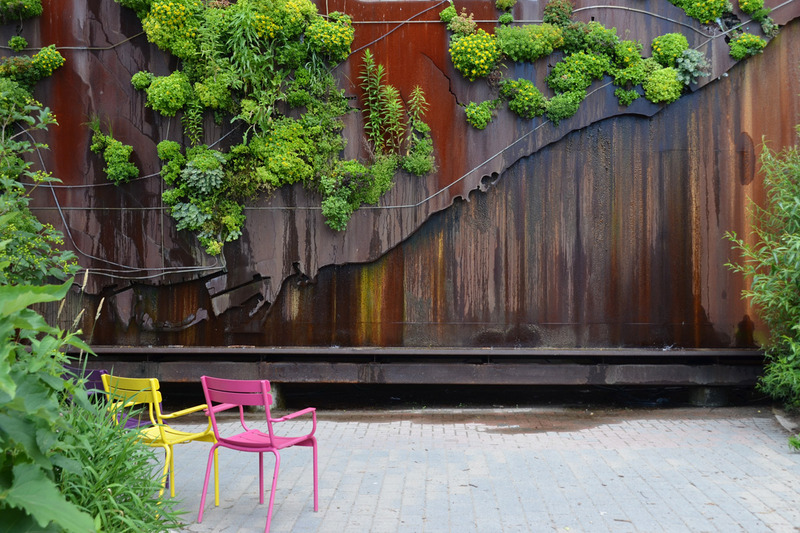 below: The Brickworks “living map” of Toronto is looking very healthy. It is “Watershed Consciousness” by Ferruccio Sardella and it depicts the rivers and ravines in the city. Some of the greens are looking a little tall (like they don’t belong there? a few strays?). 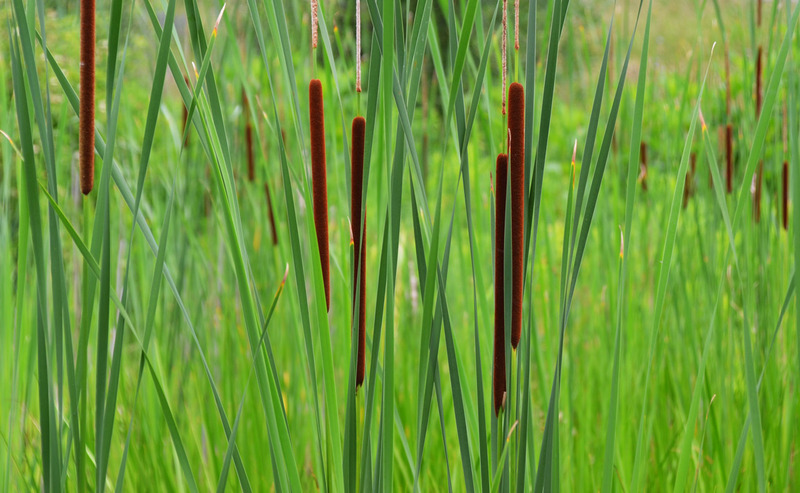 below: Bullrushes growing in the wetland area around the pond. below: Ideas! 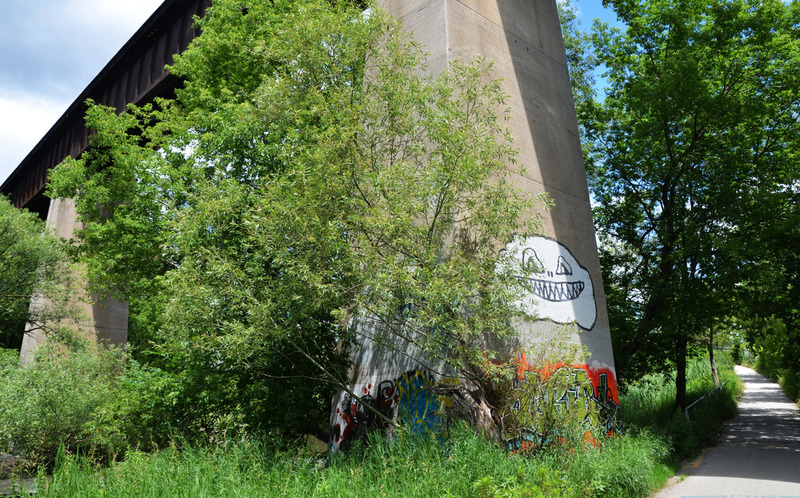 I’ve been meaning to find the end of this bridge and walk at least part of it – if I do, I’ll let you know! 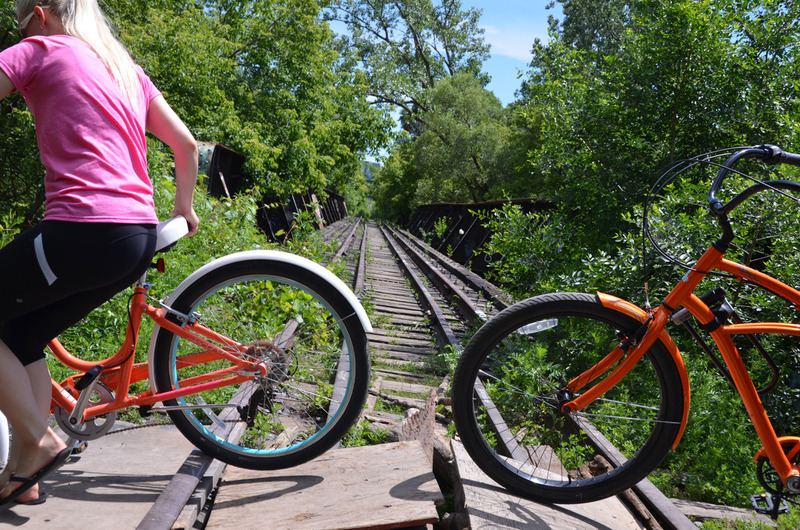 It’s the bridge that you see beside the Brickworks. It was built in 1928 and is 335m long. It is part of the Don Branch of the CPR and it ran from Leaside Junction to the downtown core until the line was closed in 2007. 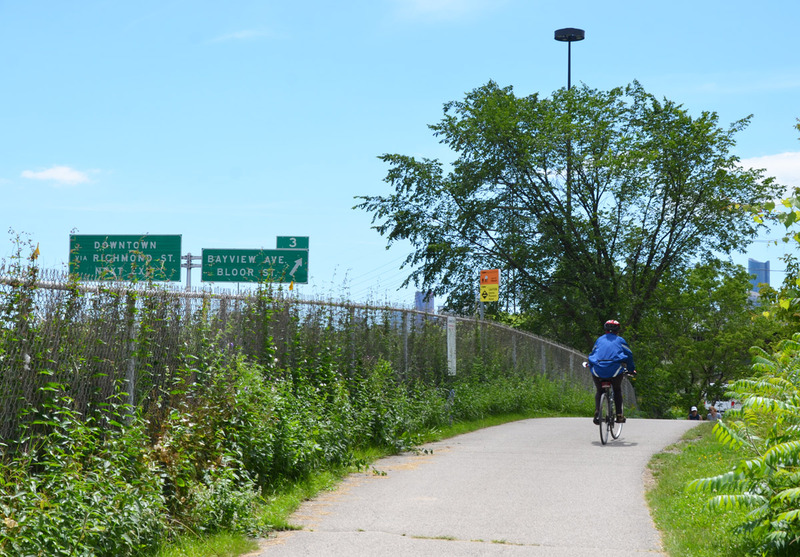 After a short visit at the Brickworks, including a quick bite to eat at the Farmers Market, we headed south. 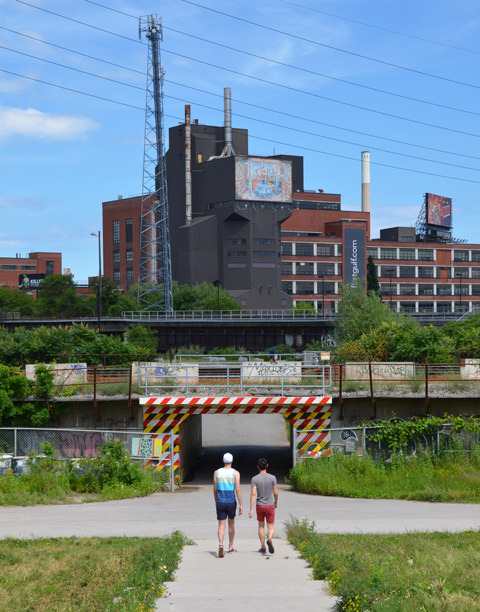 The first part of the walk was back along Bayview to Pottery Road since Brickworks is on the west side of the Don River and the trail is on the east side. I didn’t take any pictures – walking along a major road that doesn’t have a sidewalk needs all of your attention. 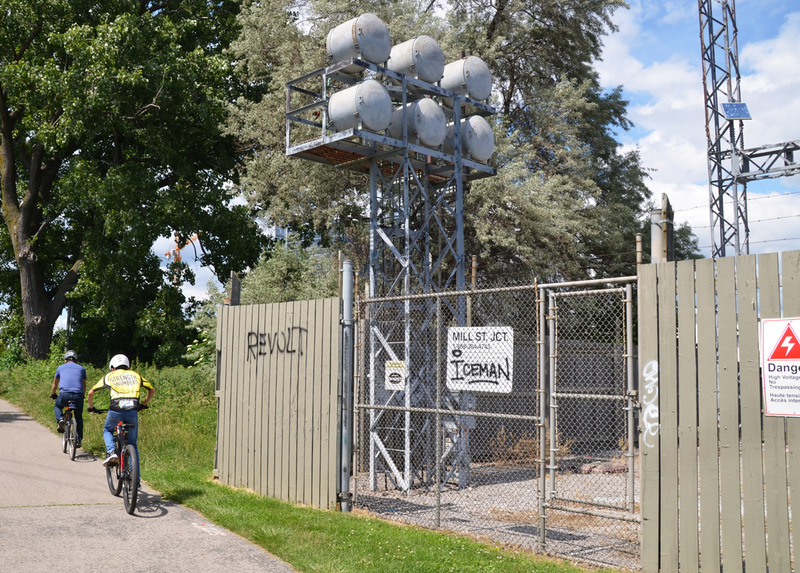 There is a bike path that parallels Bayview on the east side but getting to it was either a long detour or a dash across the road and over a barrier. We made the decision to stay on the west side and cross with the lights at Pottery Road. 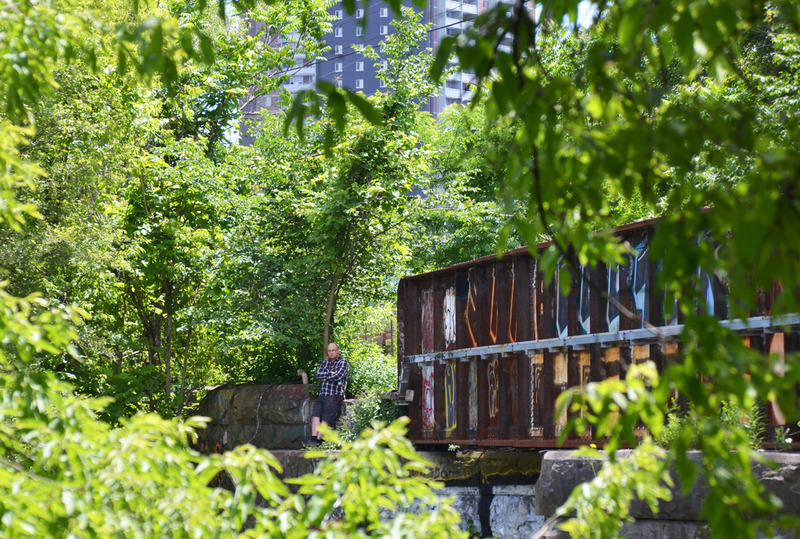 below: Although the path is through the ravine and it runs beside the Don River, it also runs adjacent to the Don Valley Parkway. There are only a few places on the trail where you can see the highway but there is a constant rumbling noise from the cars passing by. below: This is the same railway line as the bridge shown above but farther down the valley. A very makeshift bike crossing. below: Standing at the same spot as the above photo, but turned around 180 degrees… You can see how overgrown the old tracks are. 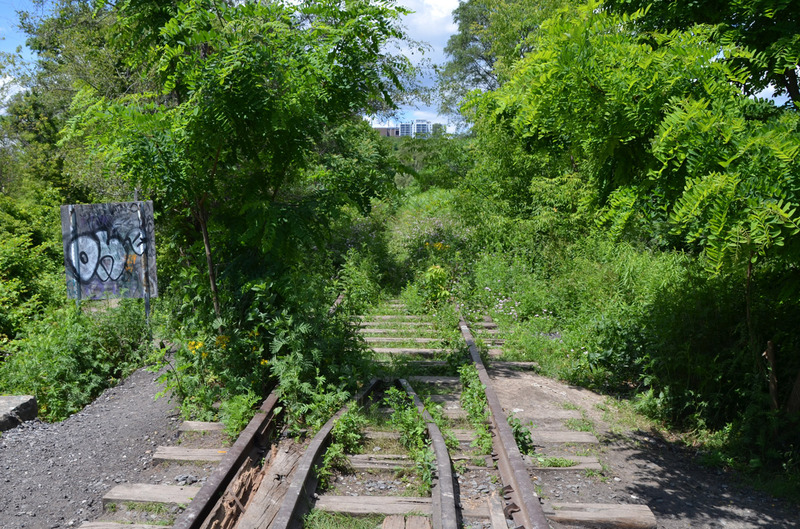 below: Two different railway lines run down the Don River Valley. The line shown here, the CN Bala subdivision line, is very active including use by GO trains that service the Oriole, Richmond Hill, and Newmarket route. The Bala subdivision tracks continue all the way to Sudbury. below: A quiet spot by the abandoned tracks. 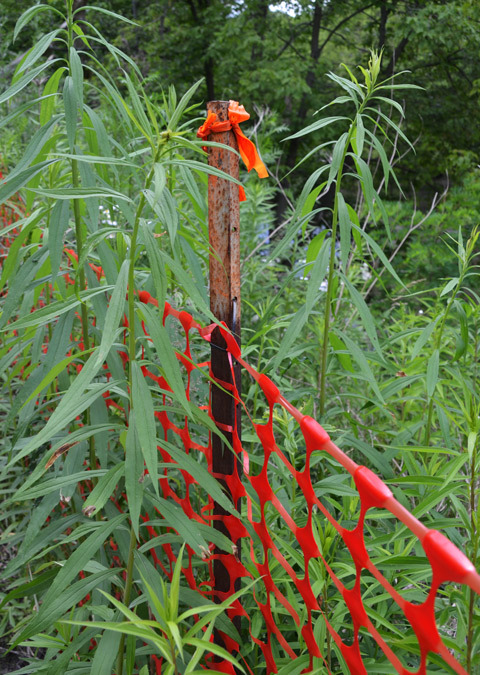 below: There are a few spots along the trail where there was damage from the high water levels in the spring. Most if the problems are with the banks od the river. The trail itself is in good shape. 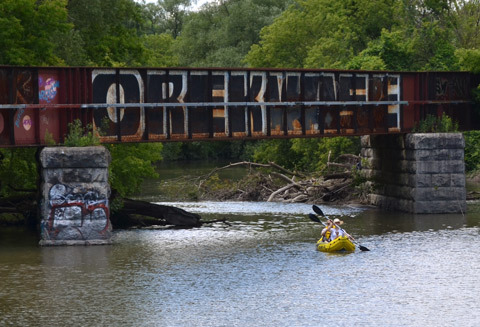 below: Kayaking on the river. below: Keeping an eye on the water level. below: Does anyone know what the 6 drum shaped things are? 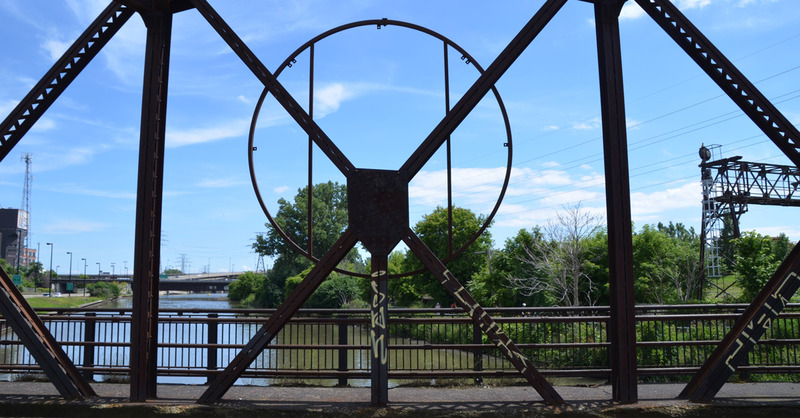 below: Standing on the old metal bridge across the Don River at Eastern Avenue, looking south. 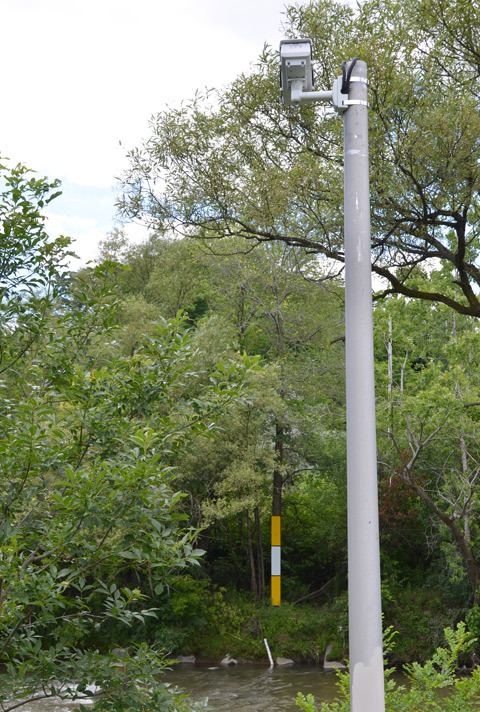 When the Don Valley Parkway was built, it cut through Eastern Avenue. Eastern was rerouted, swinging north a bit before crossing over the DVP and splitting into Richmond, Adelaide, and Eastern. 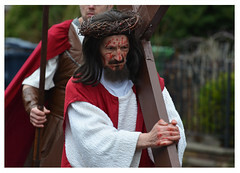 (depending in which direction you’re travelling). If you stand on the bridge and look directly east, there is still a road there that dead ends at the highway. It is now Sunlight Park Road and it is provides access to the BMW dealership that you can see as you drive past on the DVP. I couldn’t see any park in that area so I decided that if there is a Sunlight Park it’s teensy tiny. Luckily I didn’t stop there – I did some research and discovered that Sunlight Park was actually the first baseball stadium built in Toronto. It was built in 1886 and was first known as the Toronto Baseball Grounds – four storeys, wood, and the home of the Toronto baseball team from 1886 to 1897. And where is Sunlight in all this? The stadium became known as Sunlight Park after the Sunlight Soap factory that was built by the Lever Brothers in 1900/01 in the same area. The stadium was demolished in 1913.
below: The building in the background was the Lever Brothers (the Unilever) soap factory. There is now a sign on the building that says firstgulf.com – they are the development company that owns the site. NOW magazine published an interesting story about the building as it looks at the moment (with lots of great pictures!). 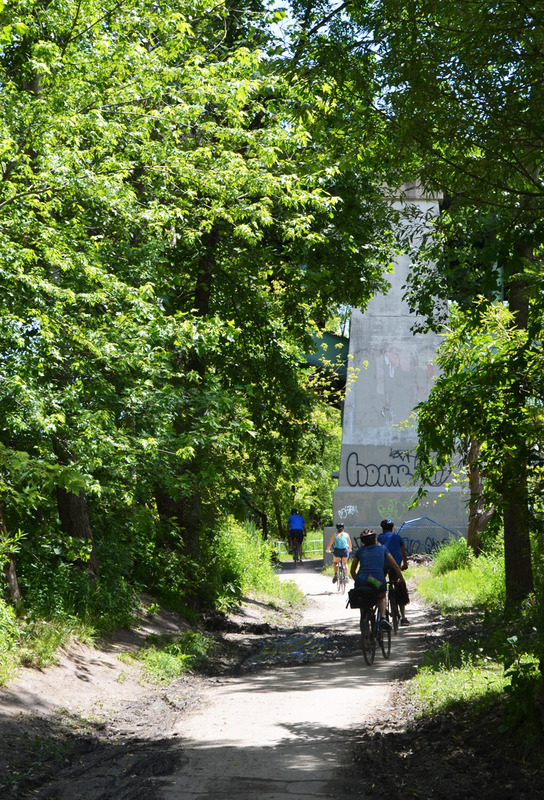 The path through the striped underpass joins the Don River Trail to Corktown Commons. Boy the plants in the Evergreen watershed map have really grown — fascinating to see the map’s plant evolution year over year. Although I’m familiar with this area and cycled it many times, you still showed parts that I’d never noticed before … like the striped underpass to Cork Commons. In fact, I’ve never heard the description Cork Commons before. Now I want to go back and re-explore. 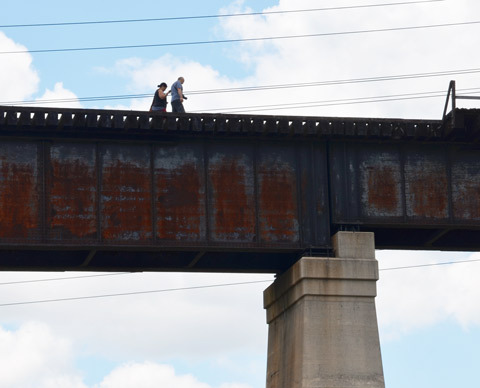 I have tried to walk the trestle bridge by the BrickWorks and couldn’t do it. I’m not afraid of heights, but I didn’t get more than 30-40 feet and had to turn around. My knees were shaking so badly.